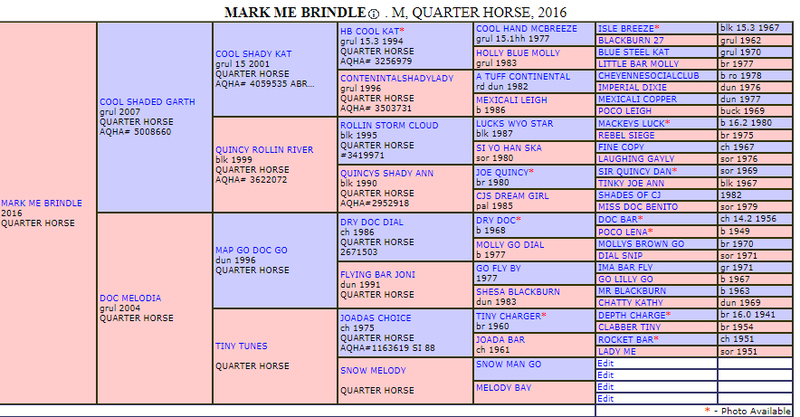 In 2019 this mare will enter our broodmare ban. 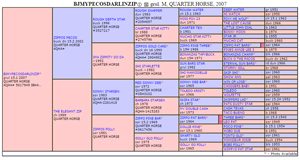 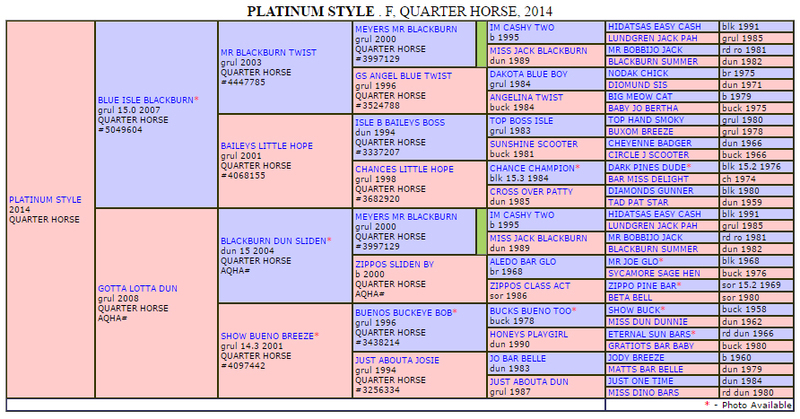 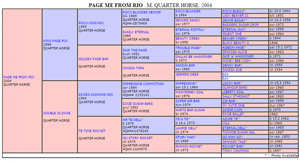 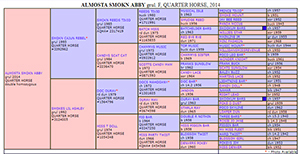 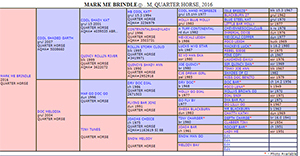 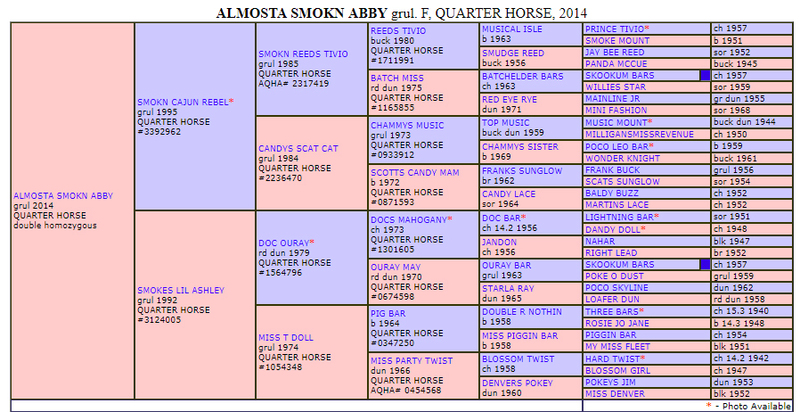 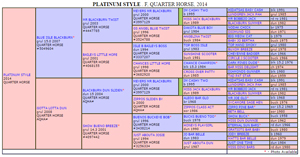 This filly is the only registered brindle in the IBHA in the world. 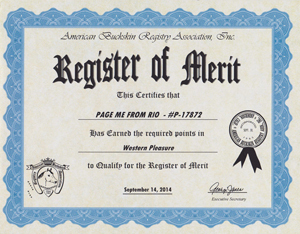 There are other brindles out there, but in order to be eligible for IBHA registry they must have brindle on both sides - not just one. 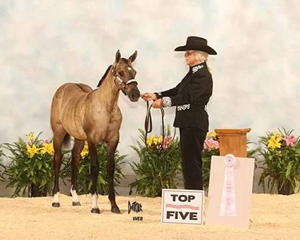 She was shown at the IBHA World in 2016 and placed fourth. 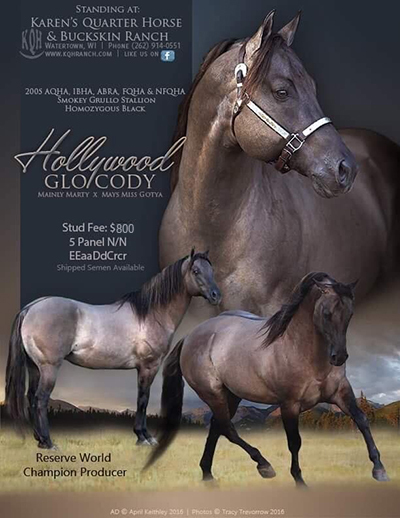 She is homozygous black and we can't wait for her to be old enough to enter our broodmare band. 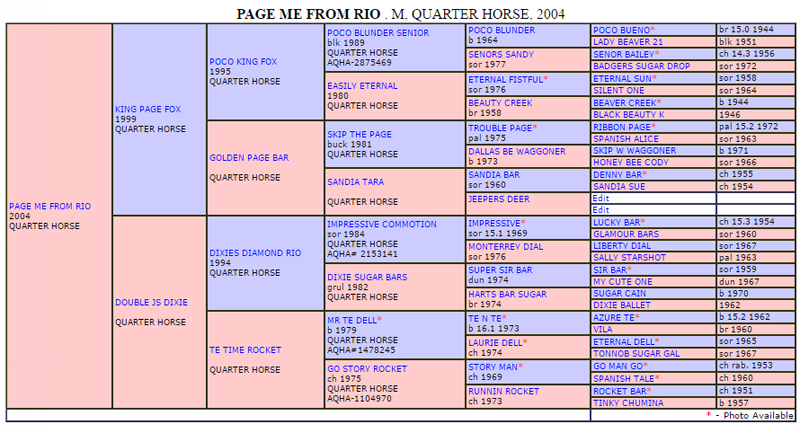 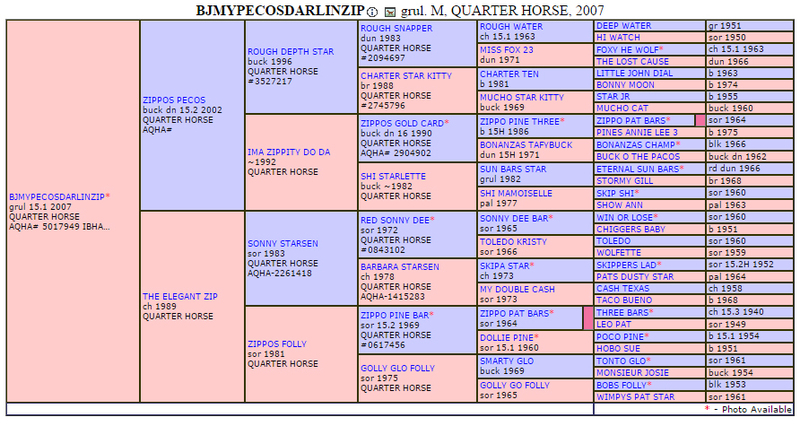 She goes back to Dry Doc, Poco Bueno, Isle Breeze and Sir Quincy Dan. 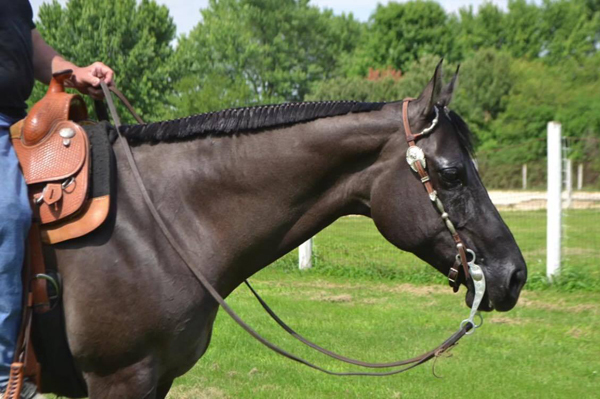 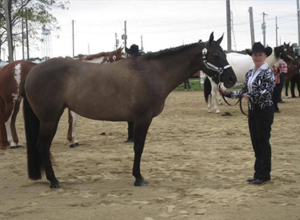 This big gorgeous mare is not only pretty and tall, but she also is stocky and is just dripping with dun factor. 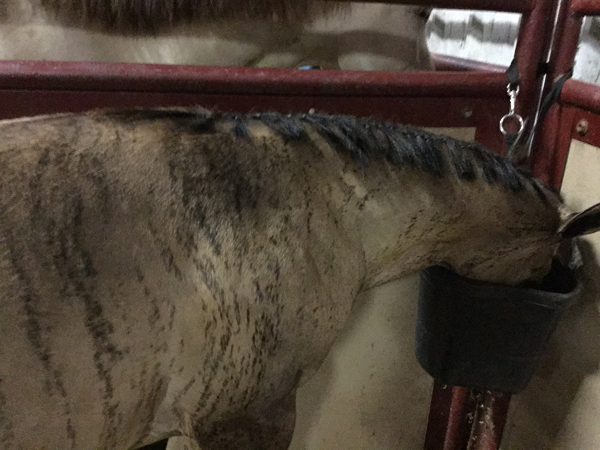 Check out her neck and shoulders - it looks like she had a bucket of paint spilled on her. 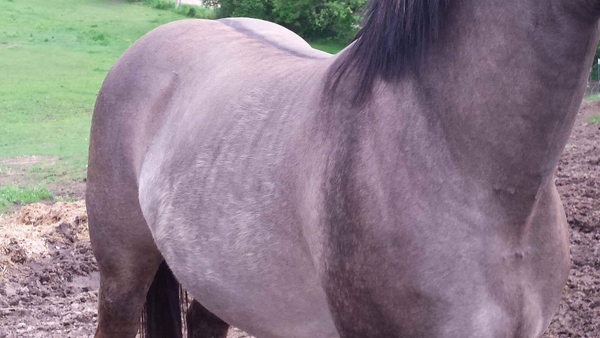 In addition she is very quiet and has such a sweet disposition. 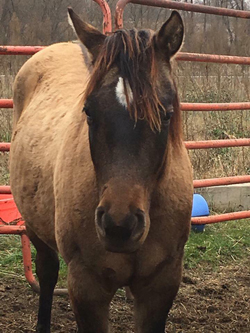 She looks for people to come into the pasture so she can get attention. 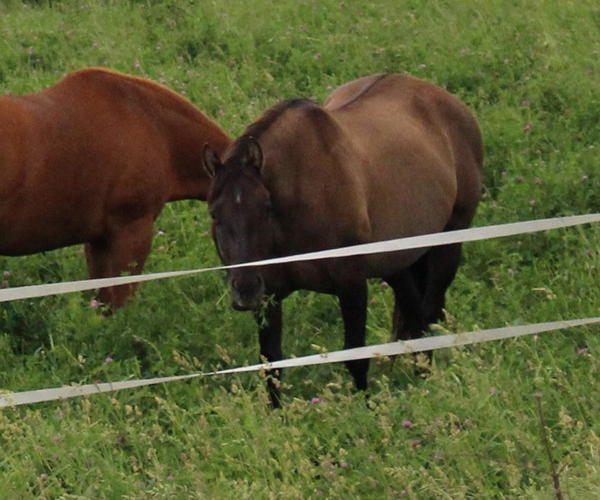 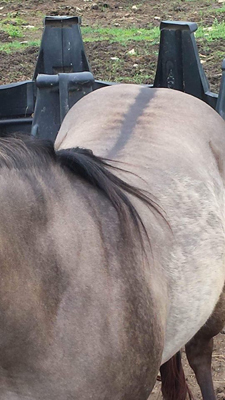 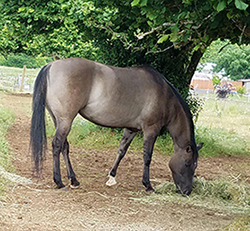 This gorgeous grullo mare is very stocky and pretty headed with a big hip and lots of expression. 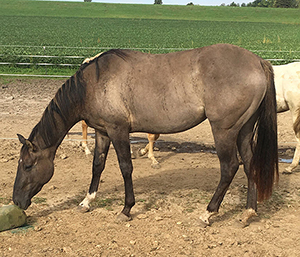 She is a very sweet mare who loves attention. 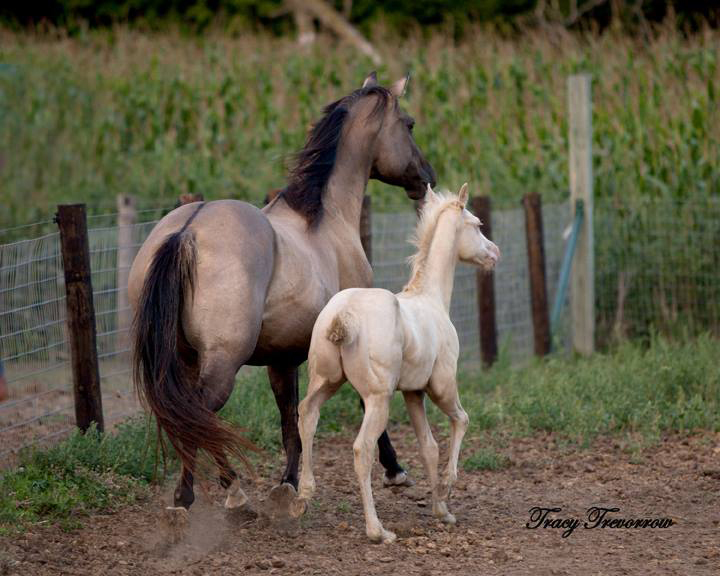 She produces thick gorgeous babies who are extremely quiet and sweet like she is. 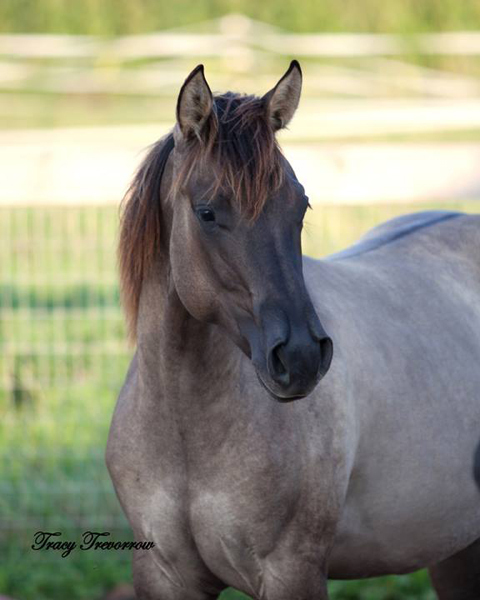 We will be getting some updated pictures of this stunning girl. 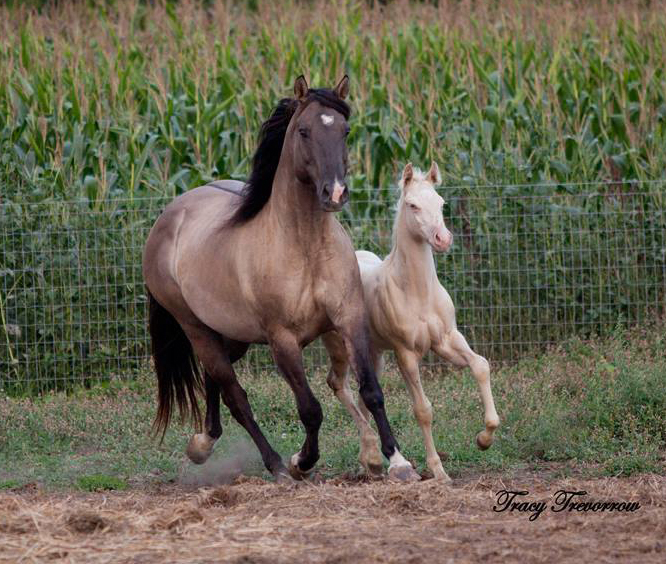 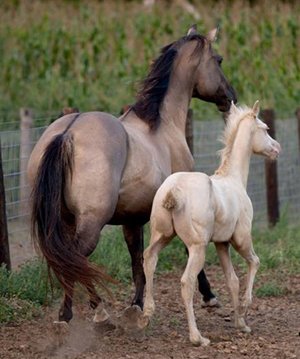 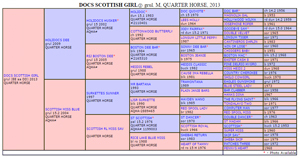 She is a light colored Grullo who is homozygous dun so guaranteed dun factor on your foal. 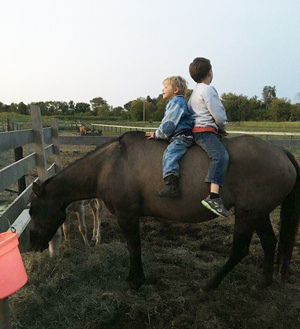 Our kids favorite hop on horse! 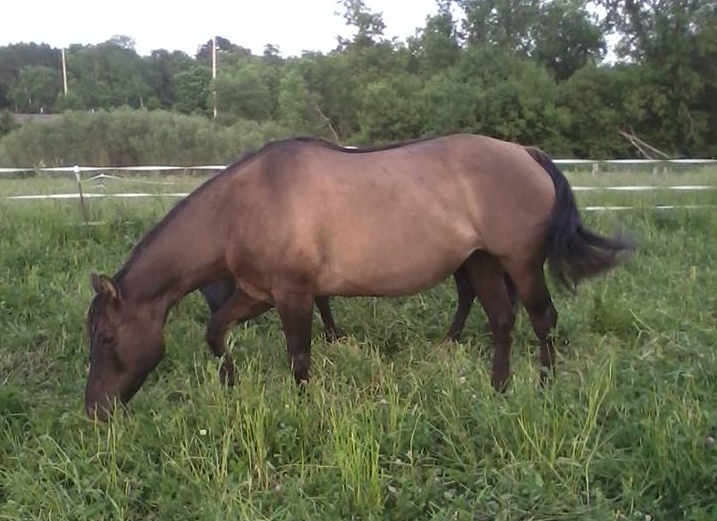 This big beautiful mare is just a dream. 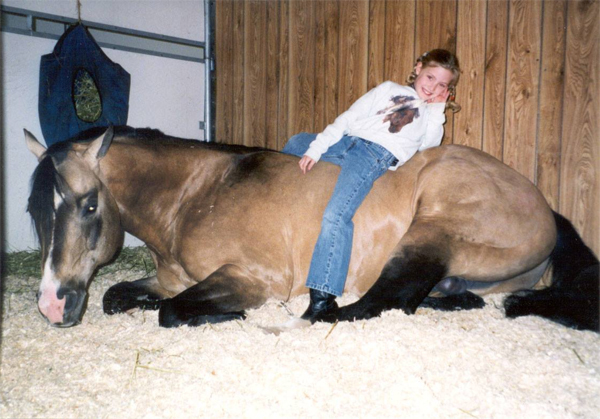 She couldn't be any quieter - she was my show mare and we won lots. I also used her to ride in parades. 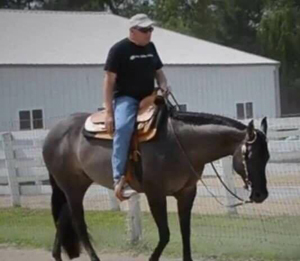 I would ride backwards in the saddle loping & jogging down the road. 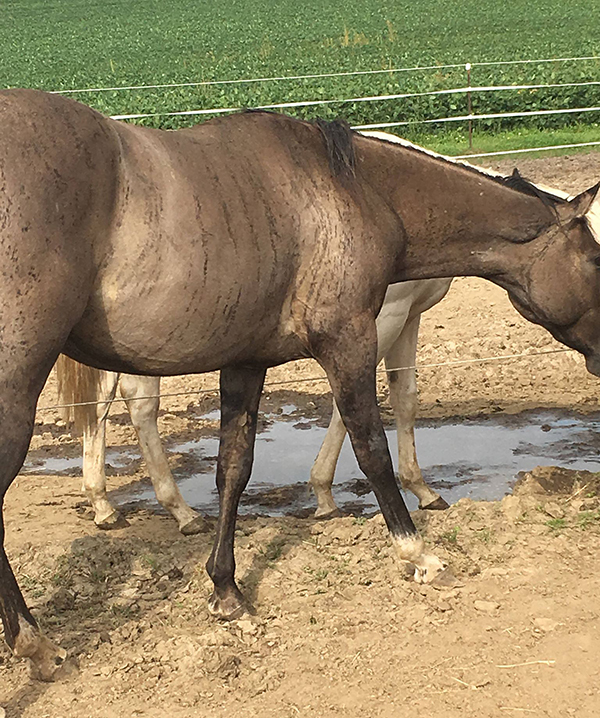 She's as bombproof as they come! 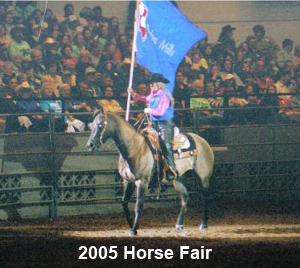 During her show career she earned 71 ABRA points in 4 events. 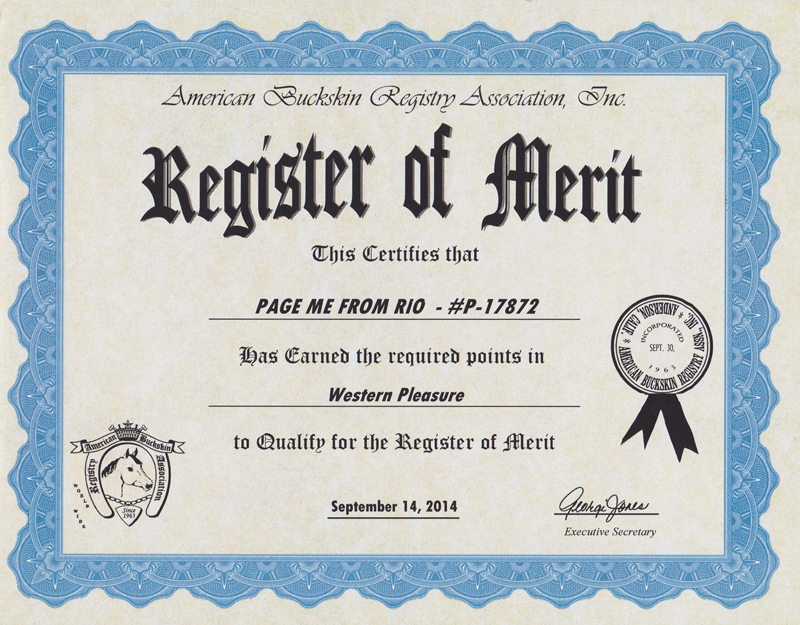 She has a ROM in Dun Factor, Halter, Western Pleasure and Hunter Under Saddle and was a Honor Roll horse in Western Pleasure, and 2nd in the Honor Roll in Hunter Under Saddle all during the same year. 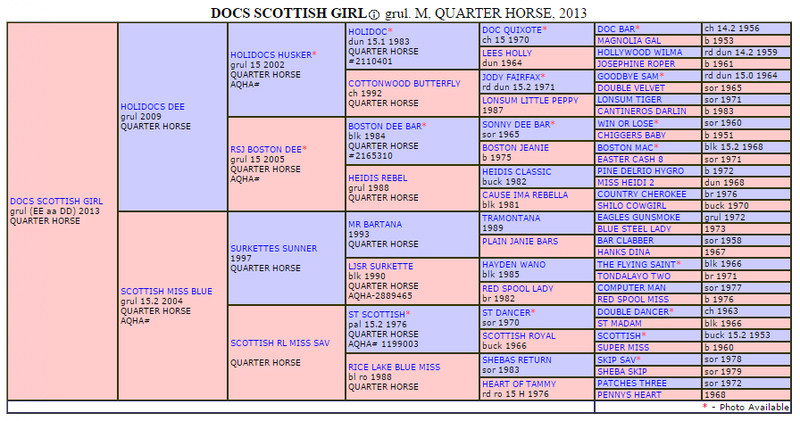 She also had 10 Grand Championships. 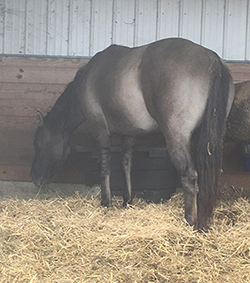 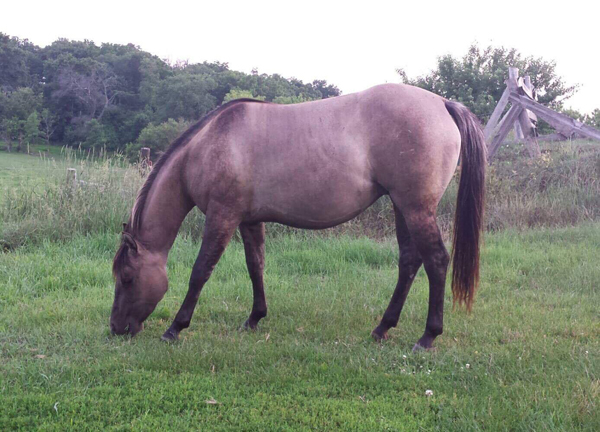 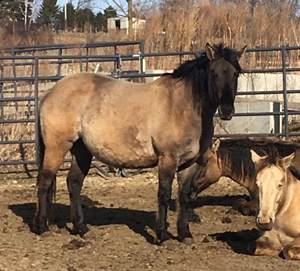 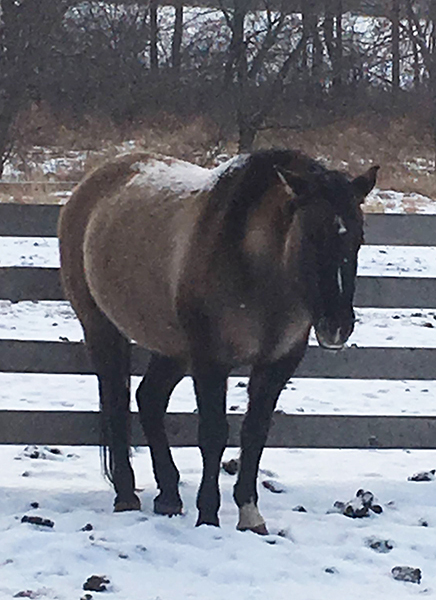 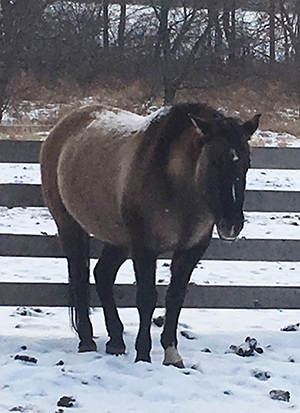 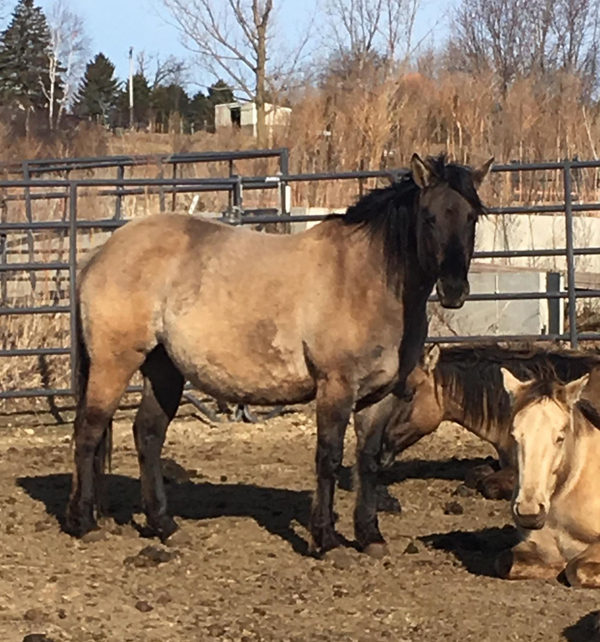 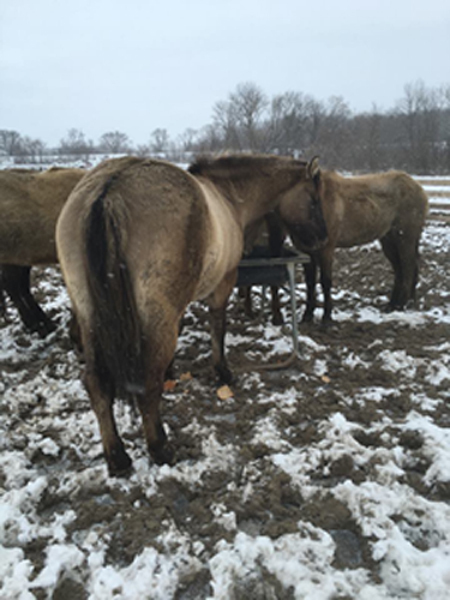 She is currently in foal to our buckskin stallion, Hit The Road Jack. 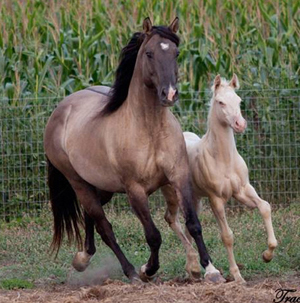 In 2016 she produced a beautiful dun colt with the same cross. 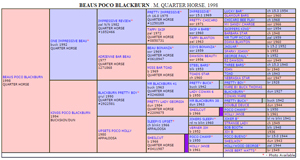 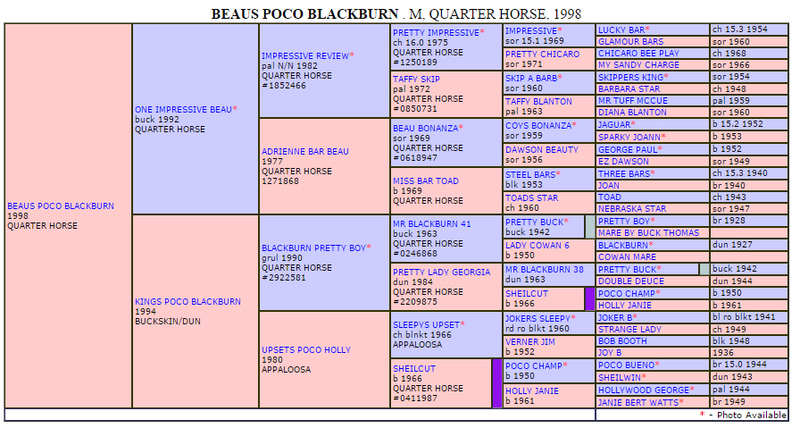 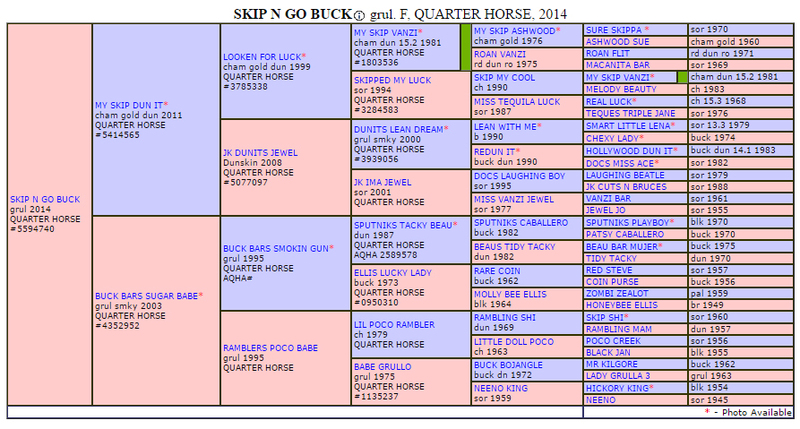 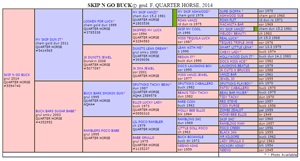 Her sire: "One Impressive Beau"
We are excited to add this beautiful Grullo mare to our broodmare ban. 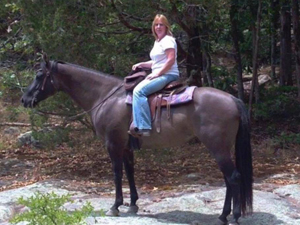 She is an elegant mare with a long thin neck and is big bodied & pretty headed with big gorgeous eyes. 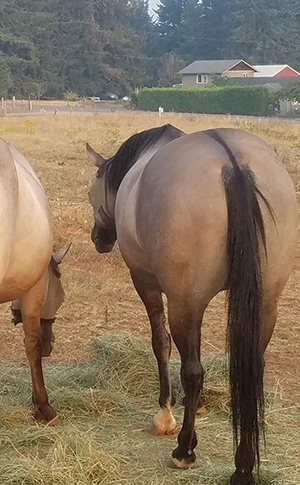 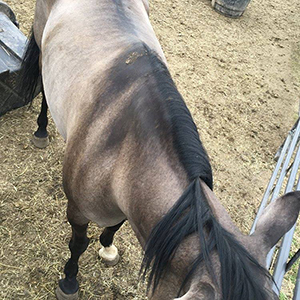 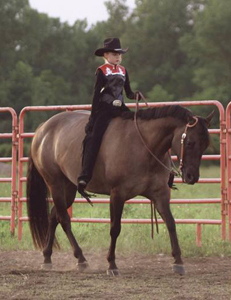 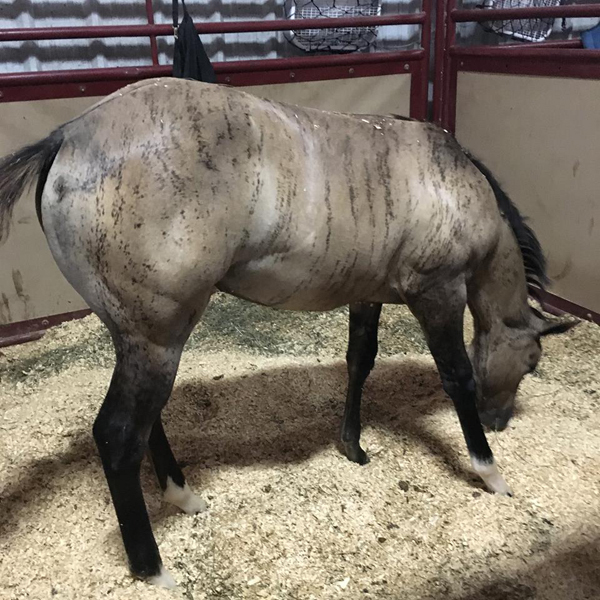 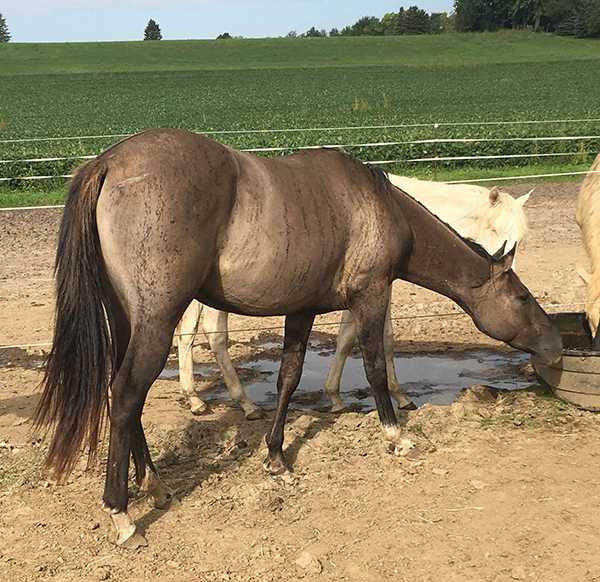 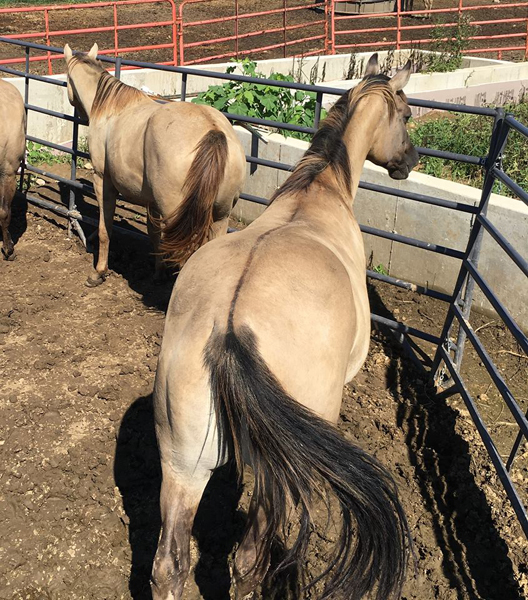 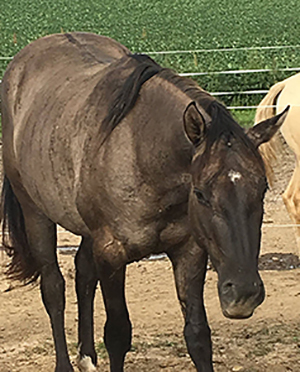 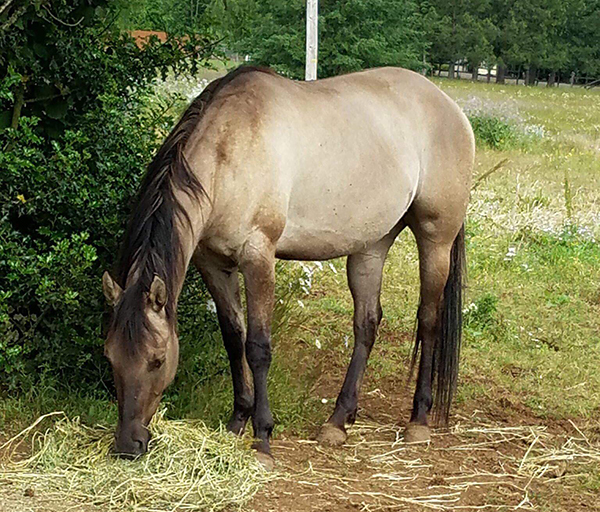 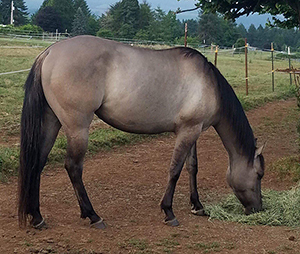 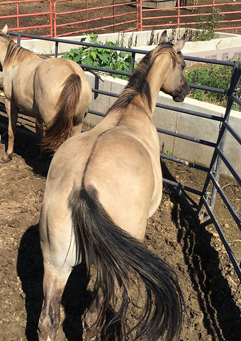 She was owned by a friend of mine since she was a weanling, and was shown by my friend to earn the following: An ABRA ROM in Western Pleasure, ABRA Halter & Western Pleasure points, IBHA Halter & Pleasure points, and AQHA Western Pleasure points. 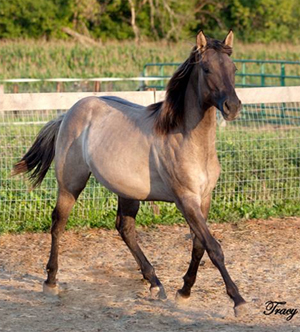 In addition she is homozygous for black. 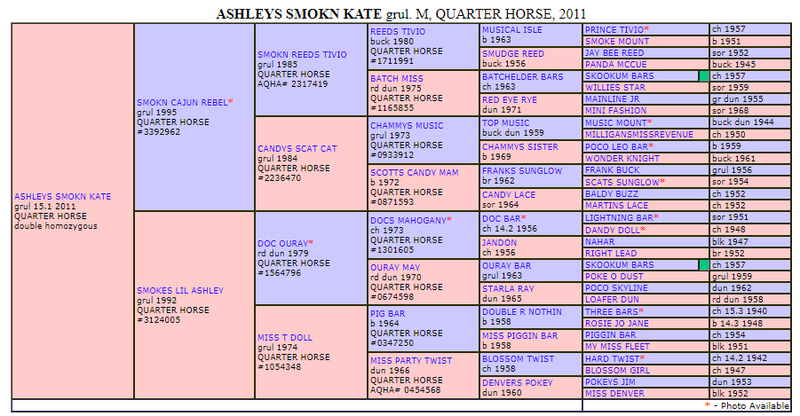 Looking forward to crossing her on one of our nice stallions. We are excited to add this beautiful broodmare to our broodmare line-up. 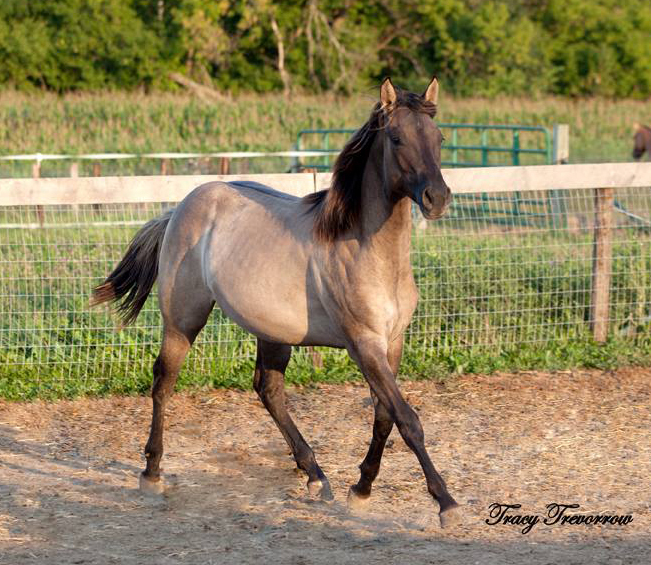 She is homozygous for dun and black and is very sweet! 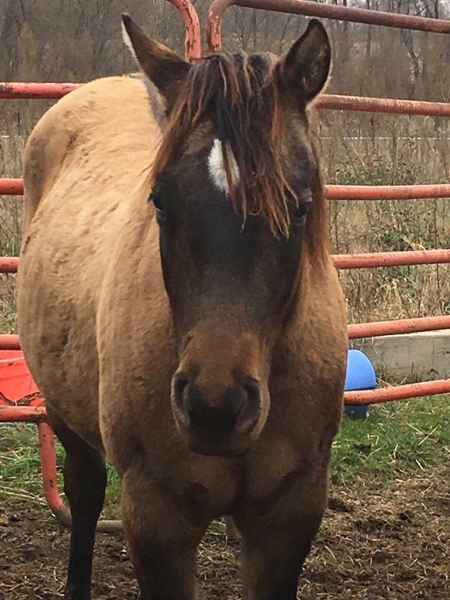 She's the first one to greet you in the pasture! 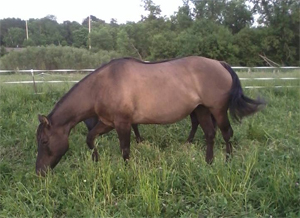 She's very stocky and foundation bred with a big hip and very pretty head. 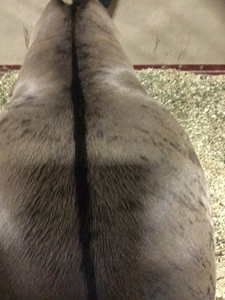 She is also just loaded in dun factor with a thick dorsal stripe & barbs running off it. She was already bred for 2018 when we bought her, but we are excited to cross her next year on our stallion, Mark Me Famous! 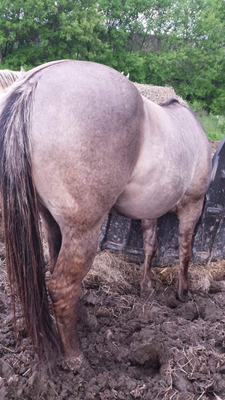 This is a big mare & I would predict she weighs in at about 1300 lbs. She is thick, big boned & wide with a pretty head. 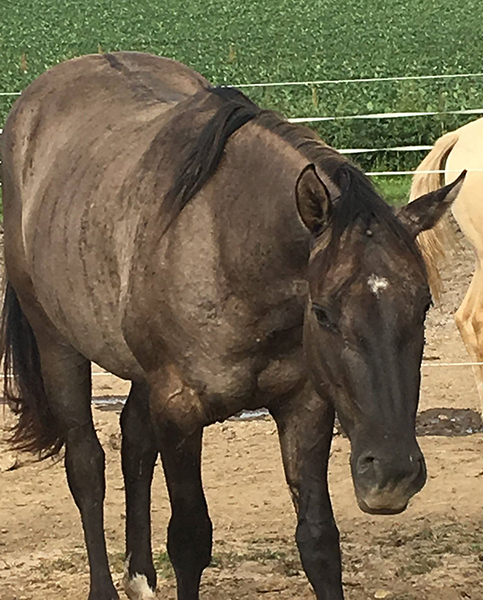 She is homozygous dun and homozygous Black. 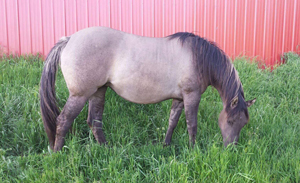 She is very gentle and should produce a thick foal such as herself. 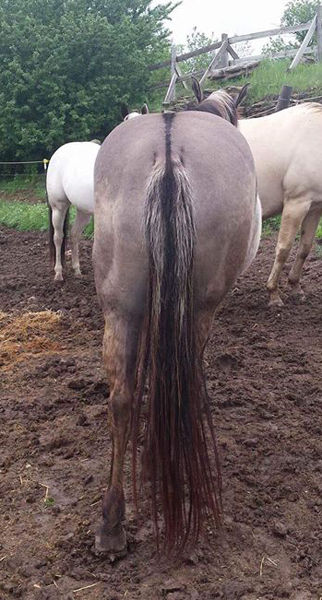 I would imagine she is eligible for the Foundation registry. It's very rare I would offer a mare of this caliber in foal for a guaranteed Grullo for sale but due to our hay shortage from our drought I am selling a bunch of horses.